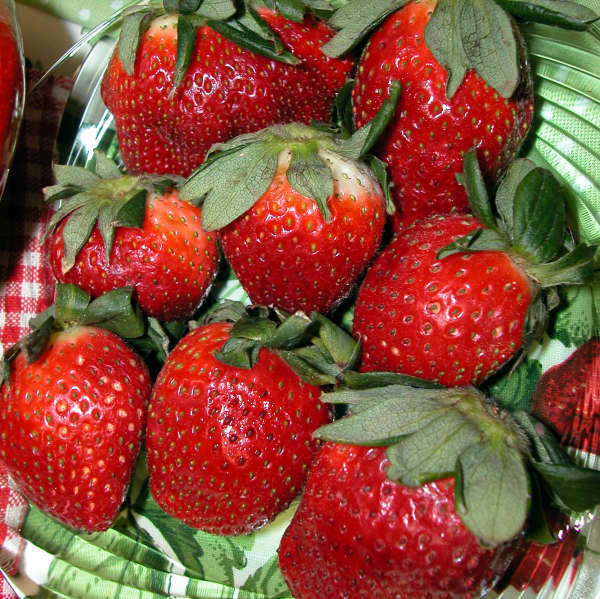 Nothing compares to the mouthwatering flavor of home-grown strawberries. 'Honeoye' was introduced in 1979 by the berry specialists at the Experimental Station in Geneva, NY. Since that time, commercial growers in New England and states bordering the Great Lakes have grown it with great success. The plants are very winter hardy, vigorous, and have some resistance to powdery mildew. The fruit is beautiful. It ripens in early-midseason. The sweet, firm, juicy, conic-shaped berries have a flavor all their own that is out of this world. They are bright red in color, which is retained when frozen.